Charter Quay is one of Kingston's most popular destinations for relaxed dining, riverside strolling and the arts. With a great mix of restaurants, river views and the Rose theatre, you'll find a family-friendly environment for all to enjoy. A great place to live. Charter Quay is the largest mixed use development in the UK owned and controlled by the residential leaseholders. Located in Kingston upon Thames, our award winning site is situated between the town's ancient market square and the River Thames with a popular piazza at its heart. External decorations to the rear of 62-81 Stevens House will start on Monday 17th September. Please note contractors may need to step onto your balcony whilst the scaffold is being erected. Can we also ask residents to remove any valuable items/garden furniture from the balconies (if possible) to avoid any damage. If you have any issues or concerns, visit or contact the concierge on 020 8547 1052. Charter Quay is the largest mixed use development in the UK owned and controlled by the residential leaseholders. 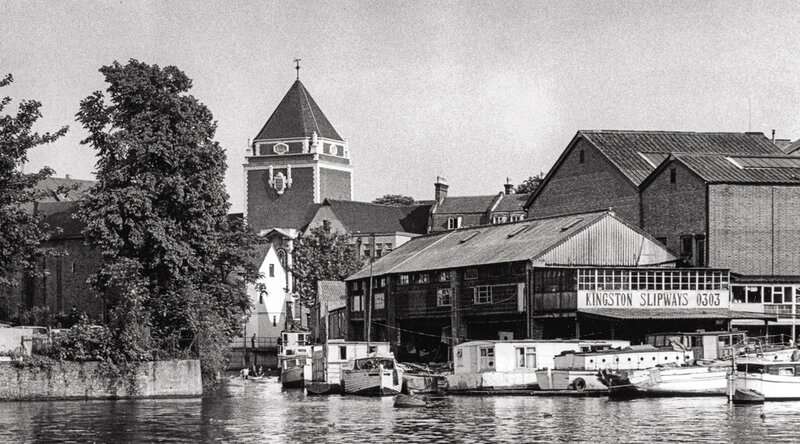 The history of Kingston is a history of boats and boat builders. With a bit of imagination, you can almost see Kingston Museum’s 900AD log canoe being used to explore the inlets and reed beds of the Hogsmill river. The archaeological dig preceding the Charter Quay building works discovered history laid upon history, and all of it bound one way or another to boats. Turks, a local boat builder and operator, have been crafting vessels since Kingston was established as a town in the 12th century. Jerome K. Jerome, the Victorian travel writer, wrote his novel ‘Three Men in a Boat’ in the Druid’s Head, one of Kingston's oldest pubs situated on the border of Charter Quay. He hired his wooden camping skiff from Turks and spent his 1888 honeymoon rowing his new wife from Kingston to Oxford as research for the book.